TWO WEEKS FREE From SNIFF Dog Walkers! 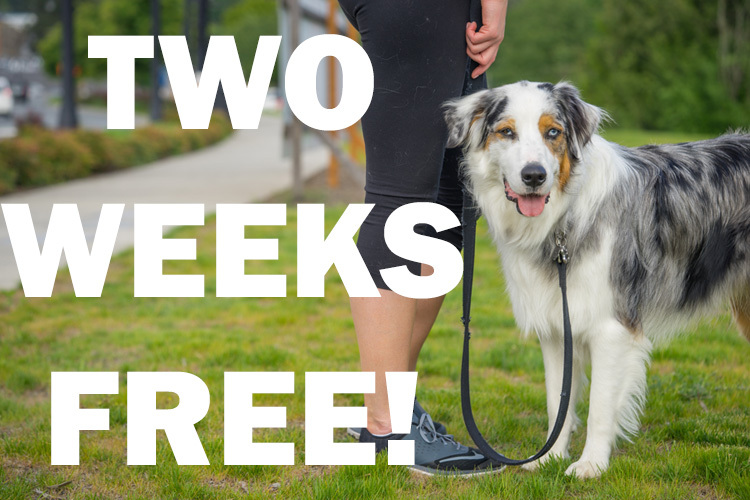 Two free weeks of dog walking when you sign up for two months of service! You're absolutely going to love SNIFF. We believe that so strongly we're giving you two weeks of free dog walking with two-month sign up. Get an amazing dog walker and save money from day one! This is a special introductory offer for new clients residing in Hoboken, Newport and Downtown Jersey City. Two-month agreement for service is required, subject to service availability and approval of new service. An in-home visit with you and your dog is required to approve service. The number of walks in each of your free weeks of service will match the number of regularly-scheduled walks in your normal service plan. For example, if you normally schedule five walks a week, your free weeks consist of five free walks of the same length. If you normally schedule three walks a week, your free weeks consists of three free walks of the same length. Free weeks are applied on the first and eighth weeks of service. To redeem, mention the code word "TWO" when setting up service. SNIFF has an amazing dog walker for you — and TWO WEEKS FREE!